It’s FREE to register for an account. first name, last name, email address, and asks you to make up a password and then confirm it. Then click REGISTER and you’re done. Now get some seats for your free 30-day trial. You have to come back here to this admin page and login. You come here to set up and administer your online game subscriptions. 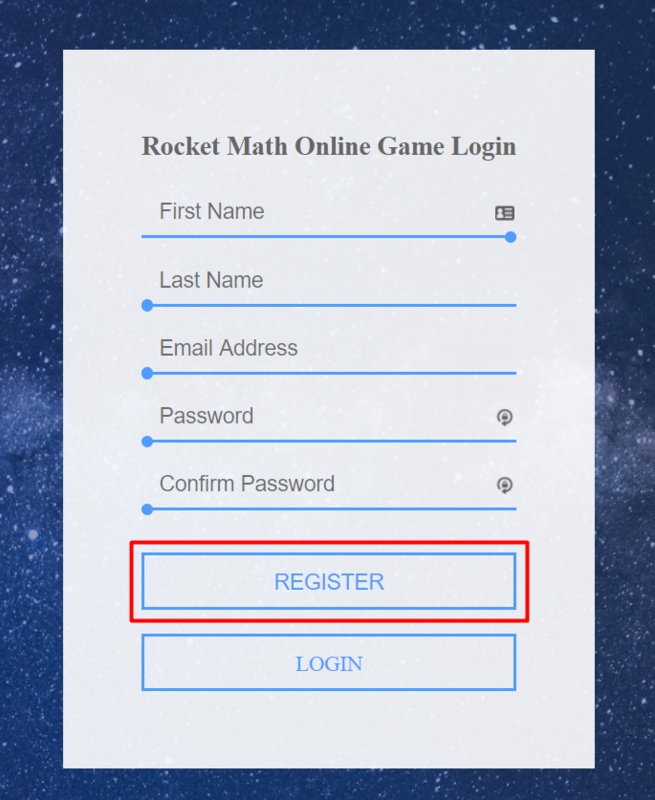 (Don’t go the old Rocket Math site and try to login there.) 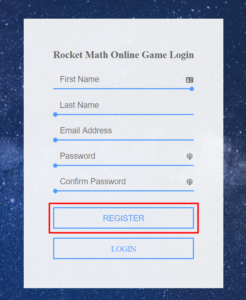 You should see this white box on the starfield when you are trying to login. If you can’t get into your account. If that does not work then you need to hit the “Forgot Your Password” link (see it at the bottom there?). Then a new box will pop up and ask for your email address. Fill that in and click on SEND PASSWORD RESET LINK. 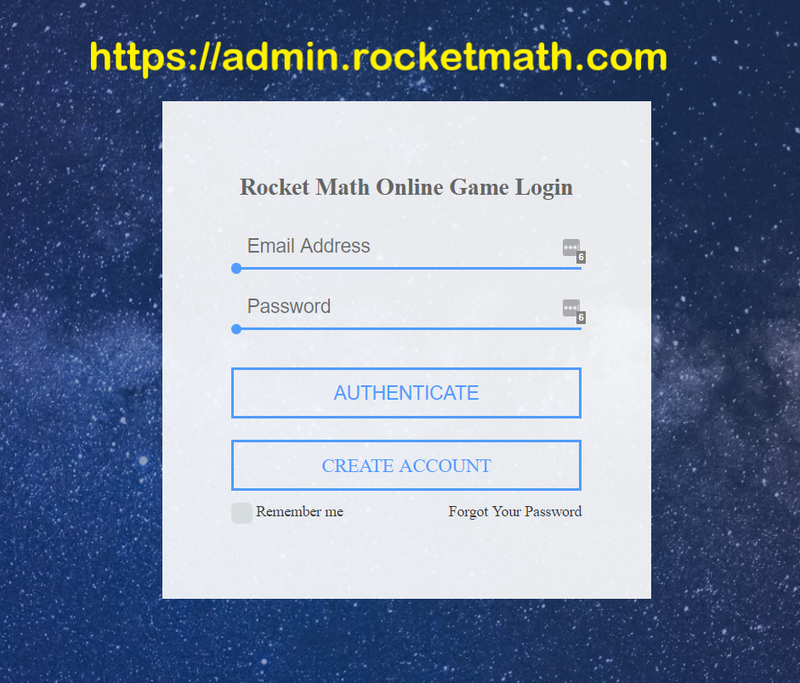 Then go to your email and look for the email titled: “Rocket Math Online Game–Reset Password.” Open that email and click on the RESET PASSWORD button a little ways down. Up pops a box that looks like the initial login box–just enter your email and then do the password you want two times. Hit the button and you’re all set. Did I suggest that you Bookmark the admin page? 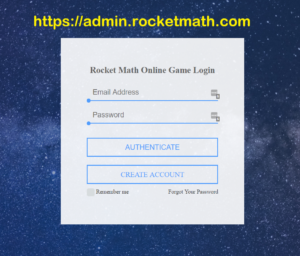 https://admin.rocketmath.com Oh, I guess I did already. Thanks.